Have you ever arrived on time to a meeting and had to wait to start the meeting until several of your employees showed up late? Or as you start a meeting, have you seen your employees or others casually stroll in late? Either of these behaviors can be very disruptive and even disrespectful. 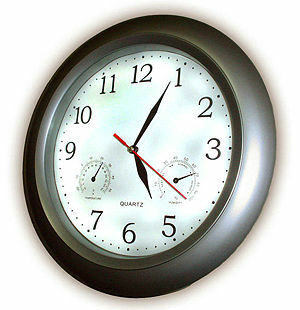 Those who show up late either don’t respect your time, or come from a background where punctuality is not respected. So how do you teach punctuality? I had an experience several years ago that taught me a valuable lesson on the importance of punctuality. I was a leader of a group of about six people at the time. Within the group, I constantly struggled to figure out how to get people to be on time. I came into the environment where several of the people would show up late to the meetings without notifying me. When I say late, it wasn’t just five minutes, they would show up anywhere from 15 to 45 minutes late. Since they were in the habit of showing up late, they would expect me to wait around to start the meeting until they showed up. This was a major problem since a few others and I would always show up at the scheduled time for the meeting. As this behavior progressed, I felt the need to discuss punctuality on a regular basis. For several meetings in a row, I explained the importance of being on time. I regularly started the meetings at the scheduled time even if not everyone was there. The individuals with the punctuality problems continued to show up late even after I started the meeting without them several times in a row. I began to be to feel frustrated with this behavior because they just weren’t getting it. There were two individuals that really had a problem with punctuality. We’ll call them Judy and Jill. Both Judy and Jill worked together in a particular area. One week after explaining the importance of punctuality, I scheduled some time to help both Judy and Jill on their specific projects. I was going to spend my whole afternoon dedicated to just helping them. I set an appointment to meet them right after lunch, so we could go to work. I arrived at the scheduled time and began to wait. I waited and waited. After about 35 minutes of waiting I decided that I had waited long enough and just left. As I was leaving, I saw both Judy and Jill showing up. I was far enough away that they didn’t see me, so I left without saying anything. At that time, I felt that I really needed to teach them a lesson. Shortly after I left, I received a phone call from Judy and Jill and they were very upset. They were mad at me because I didn’t wait for them. I told them that I had waited for over a half an hour and because I had things I needed get done, I just left. They were very upset, but this taught them a valuable lesson. From that point forward, they were always on time. If anything came up to delay them, they were always sure to call me and let me know what time they would show up. Through that experience they learned that I valued my time and had things more important to do than just wait around for them to show up late. What are some other ideas on handling situations where people are chronically late? Goes to show how some people just have to learn the hard way, and that leaders need the courage to teach them the hard way. Welcome Gian. Thanks for commenting on my blog. You bring up a very good point. Sometimes it is very hard to let people learn the hard way because you have to let them fail on their own. Thank you for your comment! I couldn’t agree with you more on the importance of talking to employees on an individual basis. It is very important to let them know how you feel where they can respond in a noncontentious environment. As a leader, it is always a challenge trying to balance between giving people freedom and keeping them in line. Thanks again for your comment! Greetings I am so grateful I found your website, I really found you by mistake, while I was looking on Google for something else, Regardless I am here now and would just like to say many thanks for a remarkable post and a all round thrilling blog (I also love the theme/design), I don’t have time to read through it all at the minute but I have book-marked it and also added your RSS feeds, so when I have time I will be back to read a lot more, Please do keep up the awesome job. I am in fact delighted to read this webpage posts which includes tons of helpful information, thanks for providing such information.